You've come to the place where technology meets tradition, forming a unique culture of service and innovation. If you've had enough of the high cost of chasing the lowest price, or are tired of vendors making it hard to do business with them, come in and stay a while. 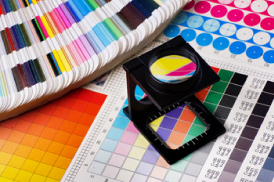 Graphic Ink Company manufactures premium offset inks you can't buy anywhere else. Combining our specialized products with exceptional service and support has attracted printers from around the country. We thank you for visiting today, and hope you'll return soon to the high desert region of the Rocky Mountains, the home of Graphic Ink Company.